1) When did you figure out that "Gran" was really Bella? Were you surprised by the fact that she was looking in a mirror, or did you see it coming?not until she woke up actually! 4) What did you think about Jasper's careful avoidance of Bella before they opened presents? Had you expected them to be closer after the Phoenix trip?not really. i thought jasper was jsut taking precautions. i wasnt surprised. 7) With all the mentions of Bella needing a new car, did you think that Edward had actually bought her one?no, i think he respected her opinion. but that would have been really funny!!! 8)What did you think about Bella's pleas for a celebration-less birthday? Did you think she was overreacting?maybe a little, i understand how she doesnt want to grow any older but throwing that many fits may have been a little bit too much. 9) What did you think when Bella said, "Well, maybe Alice will give me what I want?" What did you think about Edward's reaction to that?i loled! 1) When did you figure out that "Gran" was really Bella? Were you surprised by the fact that she was looking in a mirror, or did you see it coming? I didn't realize that it was "Gran" until Bella did. 2) Do you think that the dream foreshadows anything besides Bella's fear of growing too old for Edward? Why or why not? Yeah cause Edward will always be 17, and it would be weird if she was all old and he wasn't and they were still in love. 3) Were you surprised that Edward wasn't with Bella when she woke up? Why did you think he wasn't there? 4) What did you think about Jasper's careful avoidance of Bella before they opened presents? Had you expected them to be closer after the Phoenix trip? I thought he was just taking precautions like Edward asked, i wan't surprised. 5) What was your immediate reaction to the paper cut? What did you think about what happened after that? 6) What did you think the repercussions of Jasper's accidental attack would be? Did you think, like Bella did, that she simply wouldn't be allowed to spend time at the Cullen's house any more? Yeah I thought like Bella did I just assumed she wouldn't be spending time there for awhile. 7) With all the mentions of Bella needing a new car, did you think that Edward had actually bought her one? Yeah, I don't see her problem with that I would let someone buy me a new car. 8) What did you think about Bella's pleas for a celebration-less birthday? Did you think she was overreacting? Kinda, I mean everybody like their birthday, but I get why she wouldn't want to be older than Edward. 9) What did you think when Bella said, "Well, maybe Alice will give me what I want?" What did you think about Edward's reaction to that? I was like HA HA go Bella, Edward over reacts, yes we all love him, but he is kinda a drama queen...king? 1) When did you figure out that "Gran" was really Bella? Were you surprised by the fact that she was looking in a mirror, or did you see it coming? A little before she realized it. I kind of saw it coming, since she had just said in Twilight that she was getting older every day. 2) Do you think that the dream foreshadows anything besides Bella's fear of growing too old for Edward? Why or why not? I thought there might be something more to it. 3) Were you surprised that Edward wasn't with Bella when she woke up? Why did you think he wasn't there? I was surprised, I figured he would just pick her up before school. 4) What did you think about Jasper's careful avoidance of Bella before they opened presents? Had you expected them to be closer after the Phoenix trip? Yes and no, Yes because I am sure that it was very hard for him to be that close to her in Phoenix, so I kind of thought that would help him. 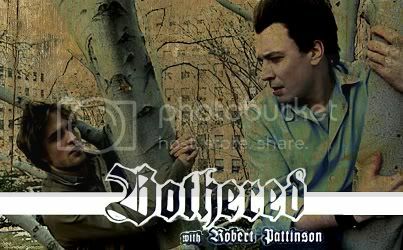 No because I know he does not care for Bella the way that Edward and Alice do, so I thought he was just being careful. 5) What was your immediate reaction to the paper cut? What did you think about what happened after that? I was wondering who would loose control first. I was not surprised that it was Jasper. I was also very worried for Bella, but I knew deep down she would be fine. 6) What did you think the repercussions of Jasper's accidental attack would be? Did you think, like Bella did, that she simply wouldn't be allowed to spend time at the Cullen's house any more? I was worried about what they would be. I figured that someone would have to leave or not come around anymore. 7) With all the mentions of Bella needing a new car, did you think that Edward had actually bought her one? No Edward would not do something like that, if he knew Bella would be really against it. Cool What did you think about Bella's pleas for a celebration-less birthday? Did you think she was overreacting? Kind of, but she does not like to be the center of attention, So I was not surprised by her reaction to her B-day. 9) What did you think when Bella said, "Well, maybe Alice will give me what I want?" What did you think about Edward's reaction to that? I was like...hmmm Alice ...but then thought no I would want Edward to do it. "Because only a vampire can love you forever." 1) When did you figure out that "Gran" was really Bella? Were you surprised by the fact that she was looking in a mirror, or did you see it coming? Not till the middle of her dream. No I wasn't surprised that he wasn't there. I don't think he stays with her every night or he could've left early to get ready for school at his home. I didn't really think much of Jasper and her friendship.I knew he had trouble with humans scent but I never saw that scene coming. again I didn't see that scene coming. I thought Bella would still be able to come over but Jasper would have to stay at a distance. No I didn't even though Edward didn't like her truck. Cool What did you think about Bella's pleas for a celebration-less birthday? Did you think she was overreacting? 9) What did you think when Bella said, "Well, maybe Alice will give me what I want?" What did you think about Edward's reaction to that? I think Edwards reaction is understandable. He wants Bella to live a full life as a human b/c that is the way it is suppose to be plus he doesn't want her to give up her soul . I knew she was Bella when Edward was standing next to her and she saw his arm around her Gran. I wasn't surprised because I knew that Bella is kind of sensitive in the aging topic, but I liked that scene a lot. I don't think so. This wasn't a problem for her until she fell in love with Edward. I wasn't surprised. I think he wasn't there because... well I would like to sleep alone once in a while! Yeah, I kinda hoped that. But then I realized that in that time, he was just taking care of her, he had to focus on that. Before opening her presents, she wasn't in danger, so Jasper could only focus in not killing her because of her smell. I was like: "Oh Bella! You've got to be kidding me! ", I was scared. And I was really sad that the whole party was ruined because of that papercut. I thought that they'd get over it. Something like Jasper apologyzing, and so do Bella. So I was really confused (as Bella) about Edward's behavior for the next 2 days. But also I was like: ASK HIM WHAT'S WRONG! No, he wouldn't do that to her, knowing she wouldn't be excited about it. Kinda. As a person that likes to celebrate birthdays, I was like: Oh, girl come on! Once a year! 9) What did you think when Bella said, "Well, maybe Alice will give me what I want?" What did you think about Edward's reaction to that? I think he was right to get mad. He knows Alice is willing to give Bella what she wants, bite her. And with the: "Please, not tonight Bella", I was like: "Yeah! Please Bella, not tonight.". I didn't realize she was looking into a mirror until she said it.. Bella always has very realistic dreams, that it should have been easily predicted that i was actually her. Err.. not really. I'm not sure.. It just seems like she's afraid of getting older and Edward always looking the same. I'm not really sure why he wasn't there, I thought it was weird, since he stays with her like EVERY night.. even if Charlie did make her have curfew and visiting hours,.. it' s not like Edward was following thoughs before. And I was confused as to why he wasn't picking her up,.. he used to pick her up for school everyday before Charlie even knew they were dating. I did! But I guess, if you think about it.. when there is situations going on, people can do a lot of things that they normally wouldn't be able to and then when it's done, they act the same wasy as before. I wasn't expecting Jasper to try and attack her! I guess it should have been forseen since SM was talking about Jasper so much and keeping a distance.. I didn't think a small drop of blood would make them so crazy! Not at first,.. but then after awhile spending a little bit of time there. Bella should know that Jasper wouldn't ever do anything to harm her if he could help it by now. No I din't. Edward wouldn't do that.. He can get away with small things, but he has to know there's no way he could actually force Bella to drive the truck without breaking it. She loves her truck! 8)Cool What did you think about Bella's pleas for a celebration-less birthday? Did you think she was overreacting? I understand the reasoning behind it.. she doesn't want to get older. She may have been a teensy bit overreacting though. I'm surprised Mike Newton didn't wish her a happy birthday since his mom knew. He was angry cause he knows Alice sees Bella becoming one of them. I don't think it's fair of Bella to flaunt that to Edward though.. I didn't figure it out untill Bella did. I was very suprised she was looking in a mirror. I think it just shows her what she will eventually look like if Edward never turned her into a vampire. I also think it shows her fear of becoming old while Edward never ages. Yeah. I figured that being her birthday, he'd be there in the morning to do or say something special for her. I think what it was, Alice might of forseen what was to happen. I think Alice told him that she would cut her finger and Jasper would be very much tempted by her blood. I was anxious as what would happen. 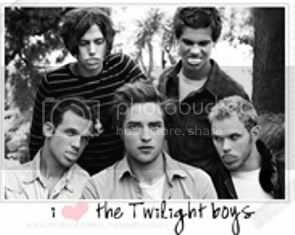 I thought that maybe one or two of the Cullens would be tempted to go after Bella. I was suprised at the fact that Edward pushed Bella into the table, therefore hurting her worse. I thought at first maybe he might have gone and done that. Then I thought about how much he respcted her, and didn't think he would buy her a car. Not at all. I think if she didn't want a celebration, then her wishes should be respected. Although, I think Bella over does it. I was REALLY hoping that it wouldn't happen that way. I think Bella only said that to get on Edward's nerves. I don't blame Edward for his reaction. Honestly, I thought this might've been a dream from the very beginning, thus I figured it out pretty quickly. I never saw it more than Bella's fear of getting older than Edward, to the point she was a senior citizen. I honestly never gave it much thought, lol. I was surprised. But I guess Jasper put aside his desire to kill Bella, and did what Edward asked and protect her. I literally said, "Oh, s***" when I read that. I thought that somebody was going to take a bite at her. I was with Bella on this one. I simply thought that she would have to avoid the house for a while. Edward loves and respects her too much to do anything like that without her permission. Bella hates unwanted attention on here. Culminate that with her fear of getting older and this was a very unwelcome birthday party. But I do think she overreacts. Death is peaceful, easy. Life is harder. As soon as "Gran" did the same that Bella did, I figured she must have been looking at her future self. Even knowing that, I didn't quite see the mirror coming. No, I don't. I think it just showed her feelings. Yes, I was surprised and I couldn't think of a reason why he wasn't there. I did expect him to be closer, I found it a bit strange. I would've thought it wouldn't bother the vampires that much. When in the first book Bella was hurt, they were around her blood too, so why did a little paper cut bother them now? No, I think Edward would've gone nuts. I was waiting for the moment where her car would 'just' not work anymore. I totally understood her. Off course, Edward IS older, not only by age, but also because he has lived so much longer. But, I could understand she didn't want to be older in human age than him. When he said: "This won't be your last birthday", I smiled. I thought: "off course not, as a vampire she'll only get older." At first, no I didn't think it was Bella until the mimicking was more noticeable. The mirror was a nice dream-like touch, because dreams have weird things like that in them. It was well written, I thought, because while reading it I felt like I was in a dream. I didn't read much more into it other then her being afraid of aging. At this point it was abnormal, but I also assumed he might have been hunting, since her sleeping is the 'safest' part of Bella's life to leave her alone to do such. Hard to say, but I figured he was cautious cause he hadn't ate in a while, didn't want to push it and all, but I did expect him to be closer to her after Phoenix. My jaw dropped. Who else but Bella, huh? Well...my heart started racing especially since the paper cut on her finger turned into a glass vase in her arm. Yup. Edward would be avoiding taking her to his house again because of it. I also figured Edward would be beating himself up a lot over it. Naw, her truck is badass. I know it, Bella knows it, even Edward knows it, he just uses it as a teasing tool. I thought it was very Bella. It showed her personality more of how she didn't like being the center of attention. It is kind of a slap in the face to him I think. It is also, in a way, telling him that despite his desire to keep Bella human and her awareness to this, she still wants something that hurts Edward to even think of considering for a second.